2:05 a.m. Steamboat Springs Police Department officers were called about a drunken pedestrian stumbling along South Lincoln Avenue. Officers were unable to locate the individual. 2:27 a.m. Officers responded to a disturbance near a home in the 2000 block of Elk River Road. A man and woman were arguing loudly outside the home, but they left before officers arrived. 4:22 a.m. Officers were called about trespassers at a towing company in the 2100 block of Snow Bowl Plaza. The trespassers were trying to find their vehicle that had been towed. They left the scene before officers arrived. 6:45 a.m. Steamboat Springs Fire Rescue firefighters responded to a structure fire in the 1700 block of Ranch Road. 10:04 a.m. Officers were called about a suspicious person in the 1000 block of 13th Street. The caller said that a man was screaming. Officers were unable to locate the man. 2:48 p.m. Routt County Sheriff’s Office deputies responded to a threat in the 28100 block of County Road 6D near Yampa. 3:10 p.m. Officers were called about a disturbance in the 2200 block of Apres Ski Way. Steamboat Ski Patrol had taken a man off Steamboat Resort for being intoxicated and causing a verbal disturbance. Patrollers suspended the man’s ski pass. Officers contacted the man but did not issue a citation. 4:13 p.m. Officers responded to a report of fraud. An individual had been receiving messages from an unknown suspect through a texting application threatening to harm the individual’s family if the individual did not send the suspect money. Officers initiated an investigation. 11:13 p.m. Officers made contact with an intoxicated man in the 100 block of Seventh Street. The man was trying to get a sober party to pick him up but was not able to do so. Officers then transported the man to the hospital. 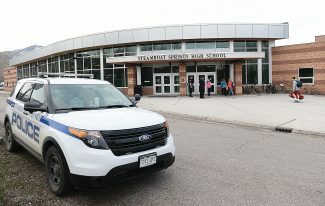 Steamboat officers had 48 cases that included calls for service and officer-initiated incidents such as traffic stops. Sheriff’s deputies had 15 cases that included calls for service and officer-initiated incidents such as traffic stops. Steamboat firefighters responded to 10 calls for service.